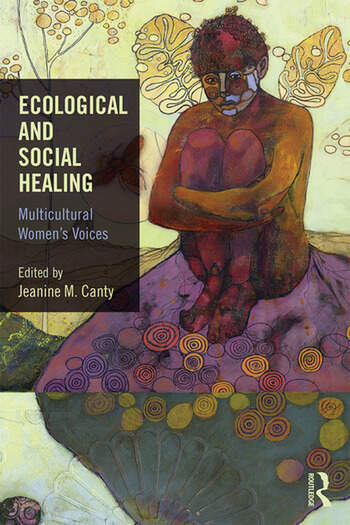 This book is an edited collection of essays by fourteen multicultural women (including a few Anglo women) who are doing work that crosses the boundaries of ecological and social healing. The women are prominent academics, writers and leaders spanning Native American, Indigenous, Asian, African, Latina, Jewish and Multiracial backgrounds. The contributors express a myriad of ways that the relationship between the ecological and social have brought new understanding to their experiences and work in the world. Moreover by working with these edges of awareness, they are identifying new forms of teaching, leading, healing and positive change. Ecological and Social Healing is rooted in these ideas and speaks to an "edge awareness or consciousness." In essence this speaks to the power of integrating multiple and often conflicting views and the transformations that result. As women working across the boundaries of the ecological and social, we have powerful experiences that are creating new forms of healing. This book is rooted in academic theory as well as personal and professional experience, and highlights emerging models and insights. It will appeal to those working, teaching and learning in the fields of social justice, environmental issues, women's studies, spirituality, transformative/environmental/sustainability leadership, and interdisciplinary/intersectionality studies. Jeanine M. Canty, PhD, professor at Naropa University, intersects issues of social and ecological justice within the transformative learning process. Selected works have been featured in The Wiley Handbook of Transpersonal Psychology, International Journal of Transpersonal Studies, Sustainability: The Journal of Record and World Futures: Journal of New Paradigm Research.